Attached you can find photos about application FLOPPY DRIVE KODAK 3.3 MB, double-sided, 17 sectors per track, 160 tracks. 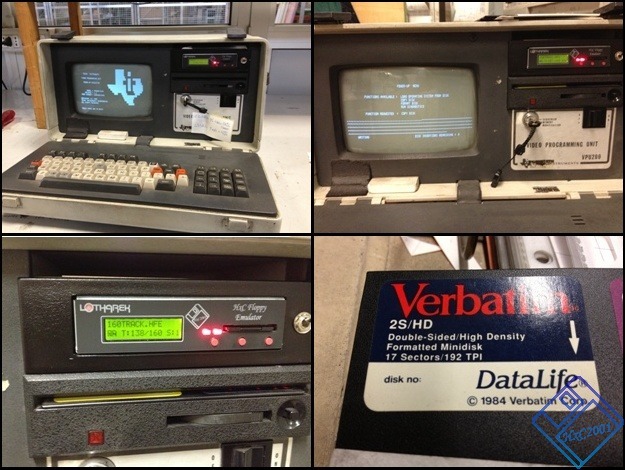 It has been used on PG PROGRAMMER TEXAS VPU200-3104. These unit use the very special Kodak 3.3MB 5"1/4 floppy disk format (160 tracks / 17 sectors per track).